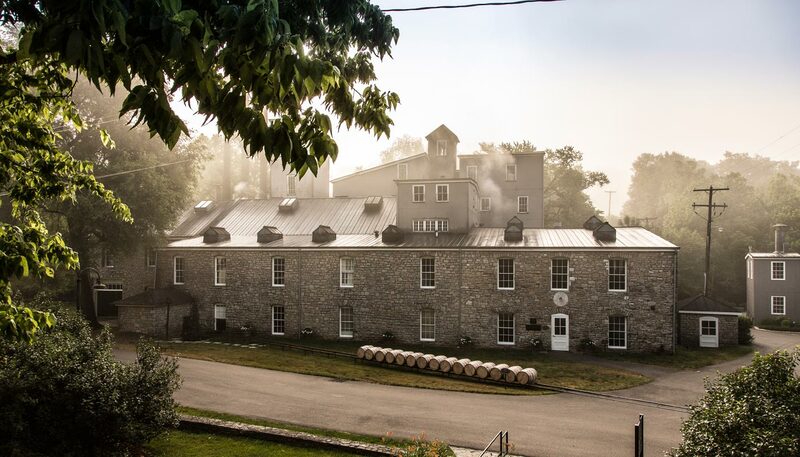 The art of making fine bourbon first took place on the site of the Woodford Reserve Distillery, a National Historic Landmark, in Kentucky in 1812. The perfectly balanced taste of Woodford Reserve Kentucky Straight Bourbon Whiskey is comprised of more than 200 detectable flavour notes, from bold grain and wood to sweet aromatics, spice, and fruit and floral notes. Woodford Reserve isn’t manufactured, it’s crafted in small batches. This artisanal process allows the company to craft using all five sources of bourbon flavour, giving it its distinct taste and crisp, clean finish. The spirit has won dozens of awards for its distinctive characteristics on the palate: a complex union of citrus, cinnamon and cocoa, with toffee, caramel, chocolate and spice. While Woodford Reserve Kentucky Straight Bourbon Whiskey is easy to enjoy neat or on ice, it is also the perfect base for a number of delicious cocktails, from a Mint Julep to Punch and a classic Old Fashioned. Learn more about how to create a perfect Woodford Reserve cocktail here.